Geriatric care managers can organize care needs when there's a change in situation, such as when your elderly loved one moves or has a health crisis. Most people hire geriatric care managers when their elderly loved one’s health care needs change, when they need a more in-depth level of care, and when they need guidance about making the next step. Many are hired through agencies; the one you hire should be a member of the National Association of Professional Geriatric Care Managers (NAPGCM) and certified to work as a geriatric care manager. Inform you about your options. Part of their job is educating the elderly and their family members and caretakers about your options. It can be extremely difficult to make a decision about housing, healthcare, and in-home care if you don’t have an in-depth knowledge of the elder care landscape in your area, a solid understanding of the elderly person’s health care needs, and an understanding of all the financial options out there to help pay for care. Coordinate services / advocate. A geriatric care manager can serve as your advocate to assisted living facilities, hospitals, government aid programs, and other services, as well as help you hire and manage caregivers for in-home care. 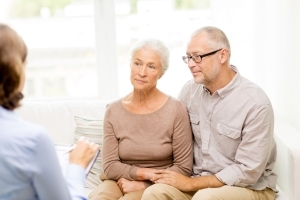 Geriatric care managers have knowledge of the caregiving options in your area and may have specific contacts in various places that can be of help. They can also provide referrals for attorneys, long-term care professionals, geriatricians, and other professionals as needed, and serve as the point person for communication. Streamline services for long distance caregivers. Many families don’t live in the same geographic area. A geriatric care manager can oversee and coordinate care on the ground on a local basis, and keep family members in different places informed. Manage moves and transitions. If the elderly person in question is frail or has a lot of medical equipment to manage, moving can be difficult and complicated. Geriatric care managers can help manage a move from home to an assisted living facility, move between different areas within an assisted living facility, or prepare your home for patient discharge. In many instances, care managers, using their experiences and resources, can step in to support the family at a critical time in their search for the best care for their loved one.